Life hacks tell us alternate methods of doing something. Tips and hacks are very much useful in saving your money and time. Following are the amazing 24 life hacks which you would love to know. 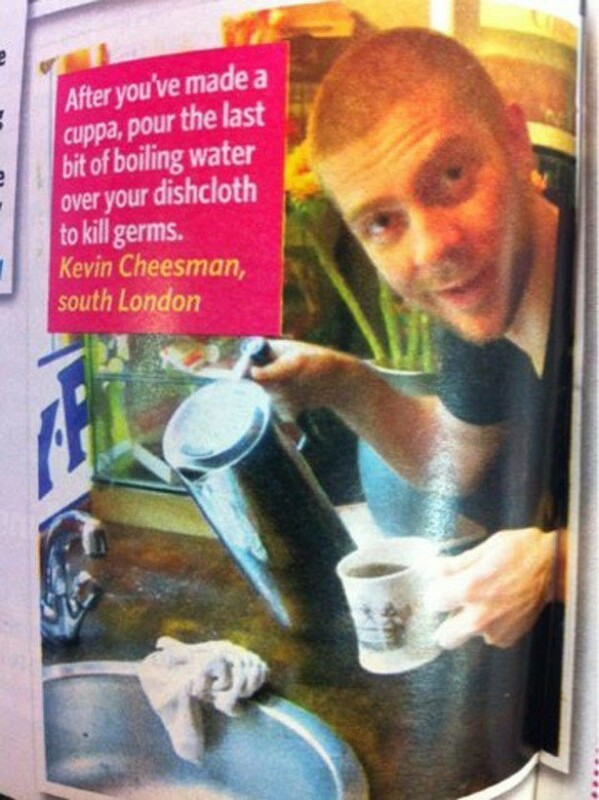 Don’t waste the boiled water for tea. Use your creativity and make it useful. 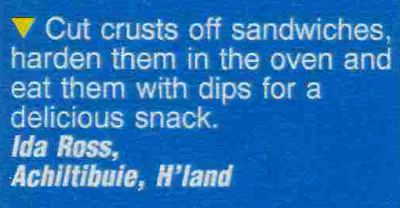 For instance, you can use the remaining water over the dish cloth. 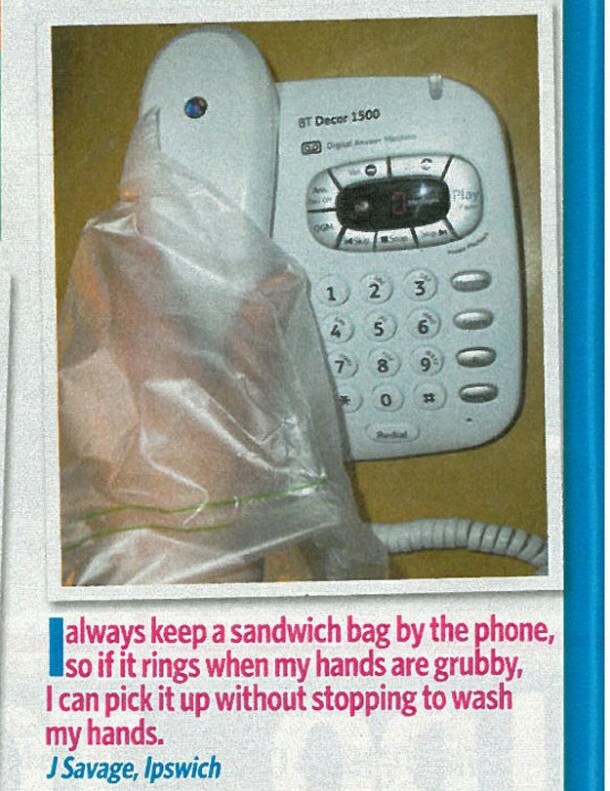 A sandwich bag can help you in maintaining the cleanliness of your phone. Do not waste money on buying expensive necklaces. 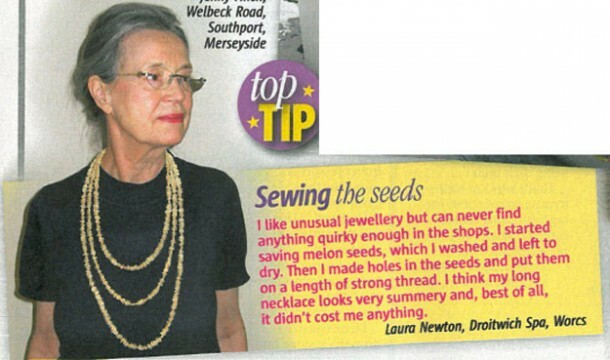 A string of seeds around your neck makes a beautiful necklace. Be trendy. 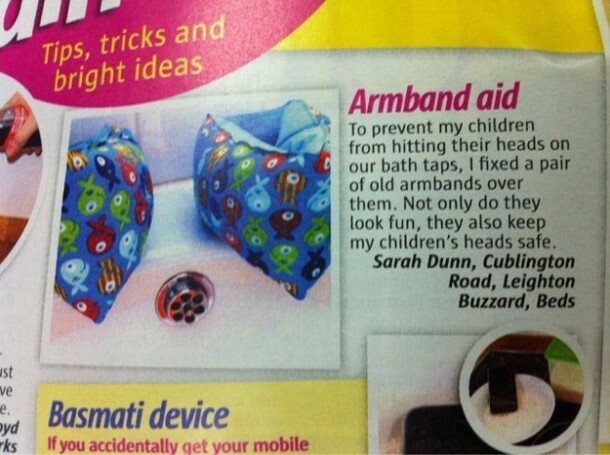 Arm bands can save your child’s head from injuries if wrapped around the bathroom taps. Hide your precious stuff where no one can think of. 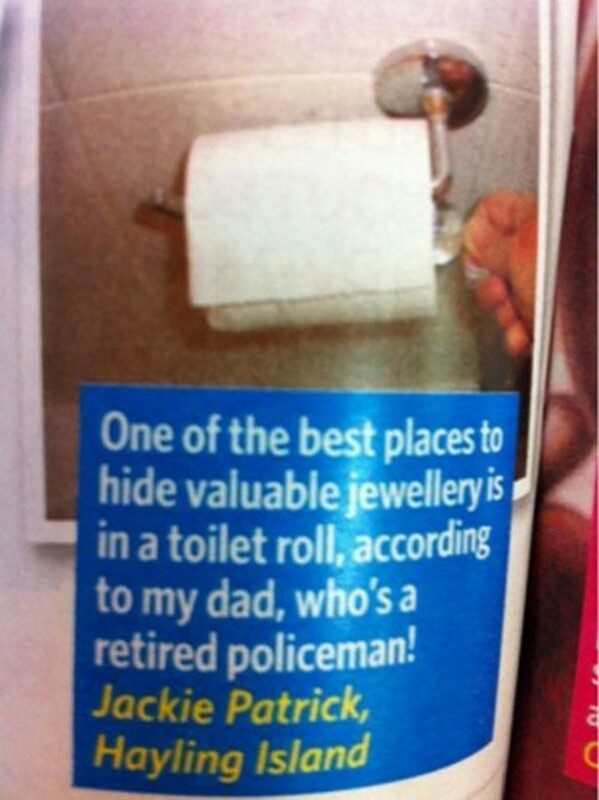 For example, hide your jewels inside the toilet paper tube. 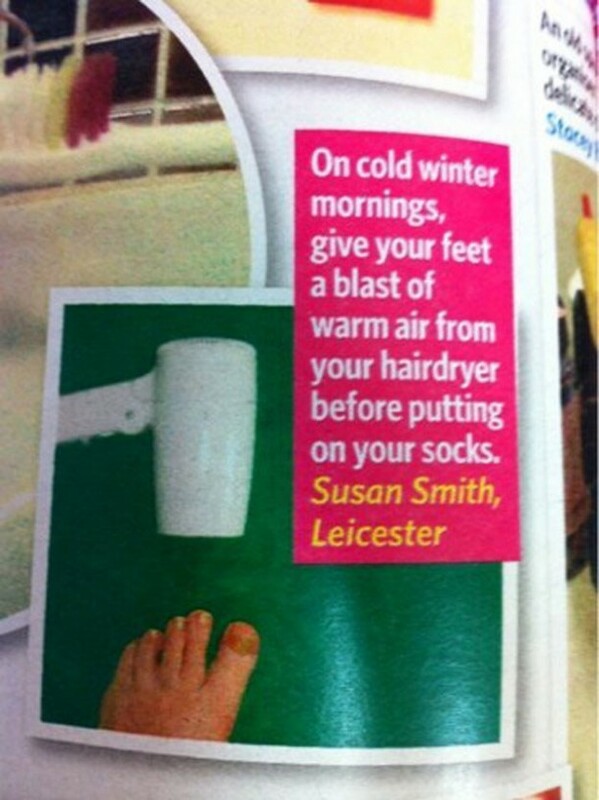 Blow a hair dryer on your feet in winters before wearing socks. Your would no more feel cold. 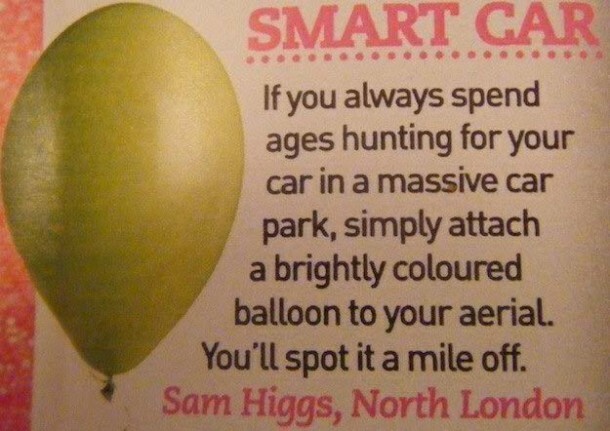 Tie a balloon to your car so that you can find it from a distance when you’re in parking. 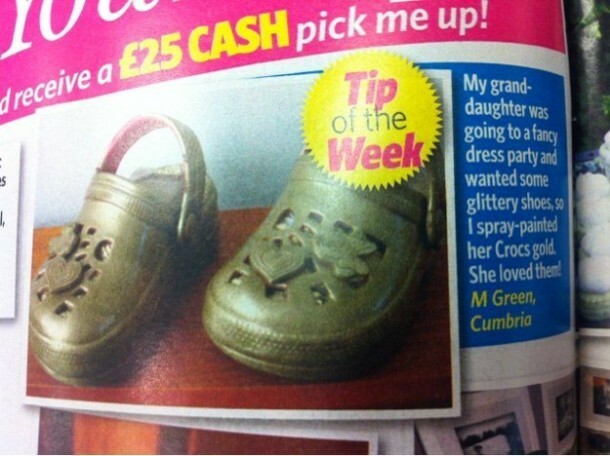 Spray painting your child’s shoes can give them a fancy new look. 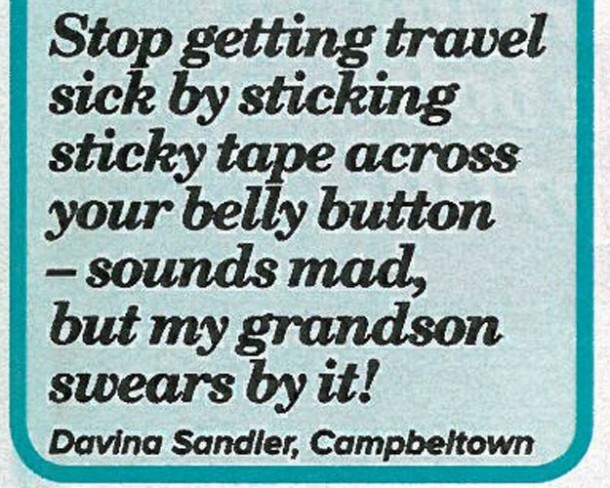 Tape up your belly button to avoid travel sickness and yes, it really works. 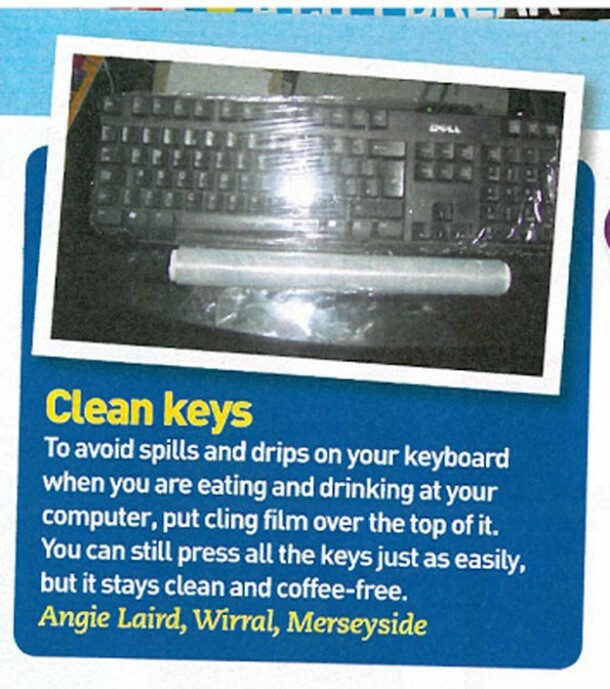 Wrap a plastic sheet over your keyboard and eat or drink without worry. 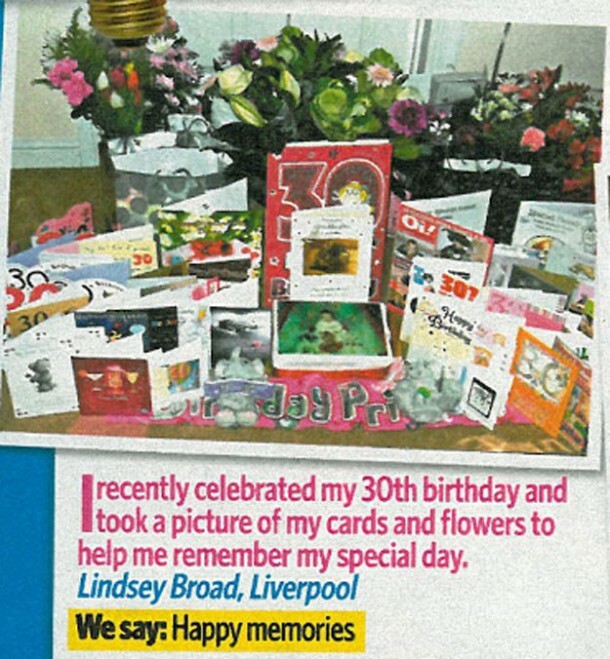 Taking photos of every event that took place in you life, is a great source to remember every happy occasion. 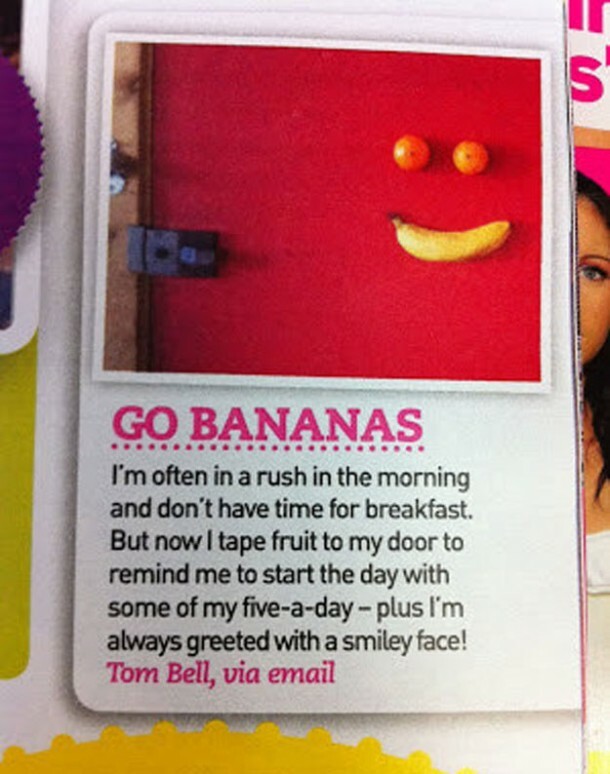 Tape up your breakfast on the door so that you always remember to start your day with a healthy food. Directions are given in the picture. 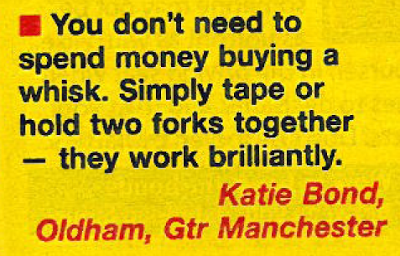 Joining two forks together works same as a whisk do. 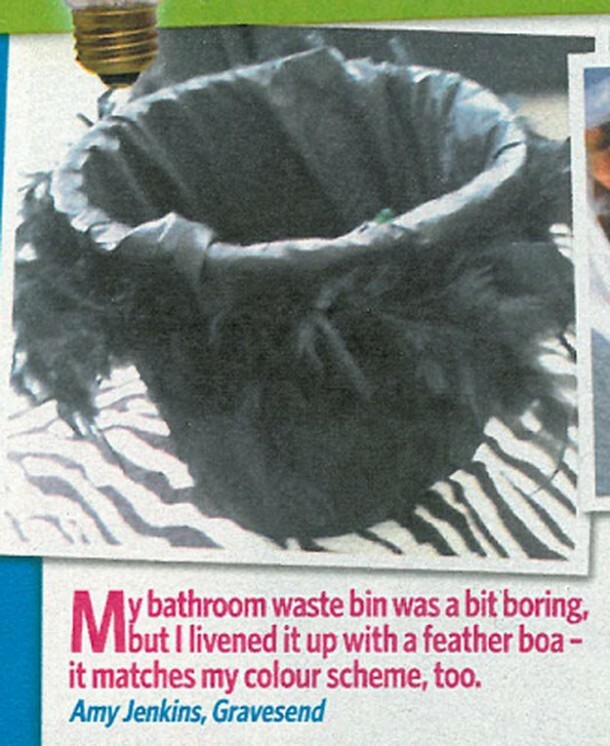 Decorating your dustbin with feathers can give it an innovative look. Use your hair scrunchies and reinvent them. You can discover many creative things from a plastic bottle cap. Utilize as many things as you can when throwing a party. 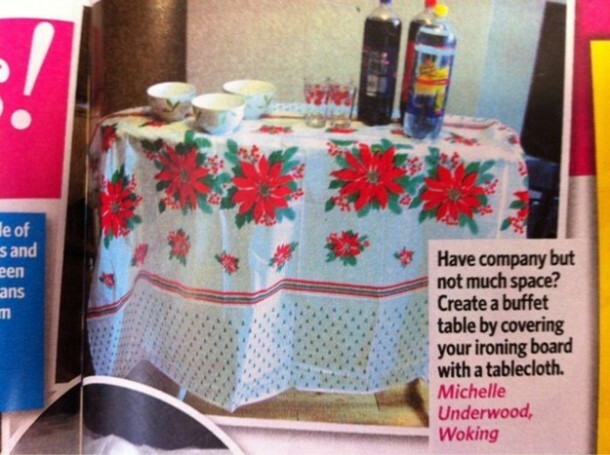 An iron board works as a table. All you need to do is to work creatively. 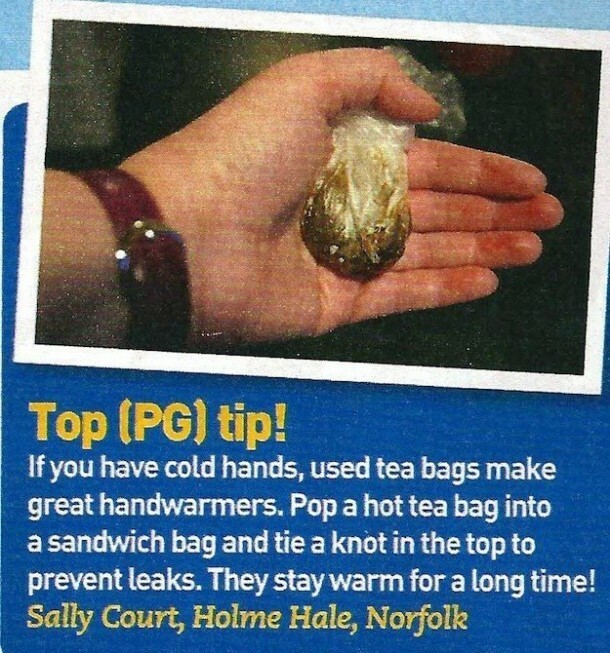 Tea bags are great hand warmers for cold hands. 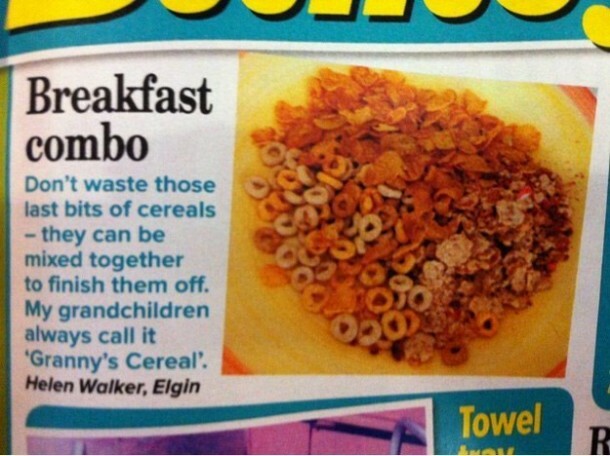 Try not to waste the last bits of cereal, rather you should mix them with the new pack to finish them up. 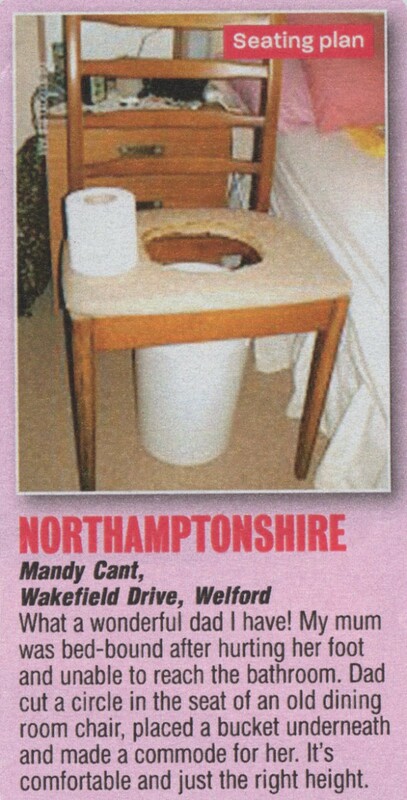 Make an innovative commode for your elders. All you need is a chair and basket. 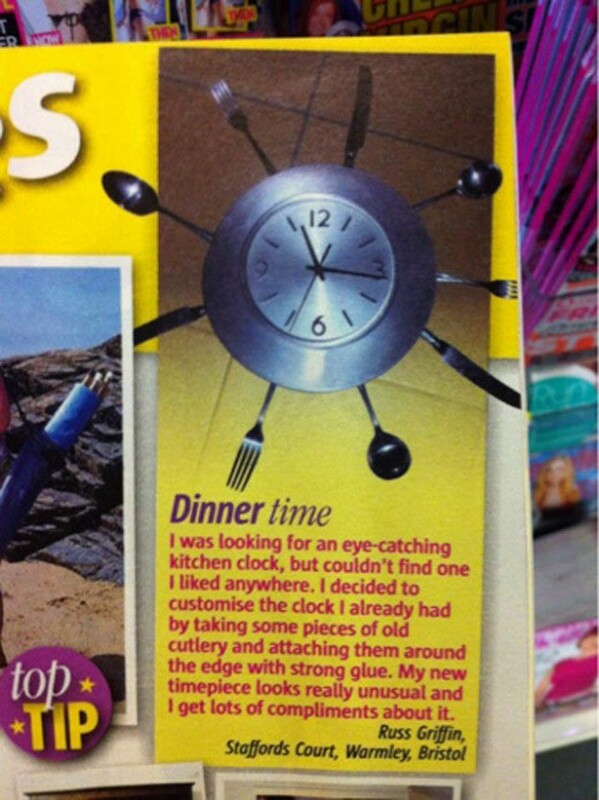 Save your money and make yourself a clock the way your want. 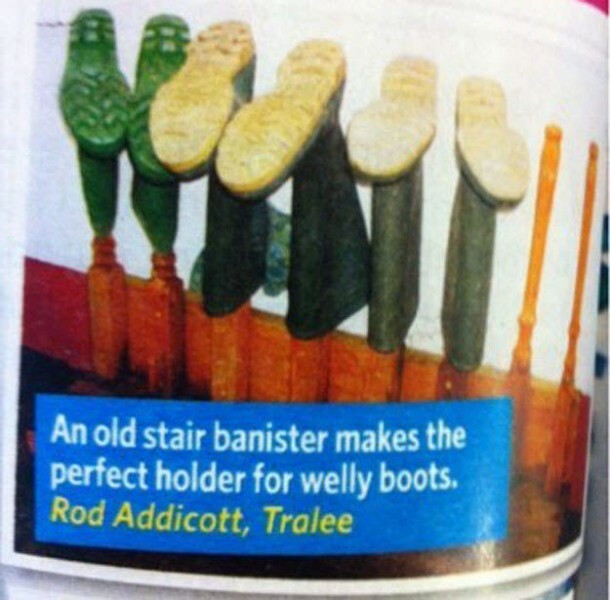 An old stair banister can hold your boots in an organized manner. 01. Pretty toilet paper can be used as blanket for your child’s doll. Make your child happy without spending money. 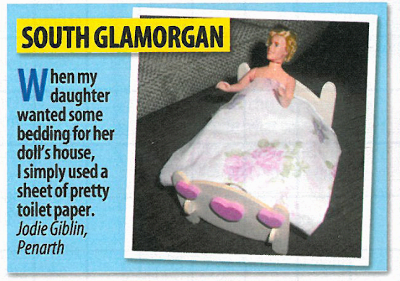 You can use a pretty toilet paper for bedding a doll.